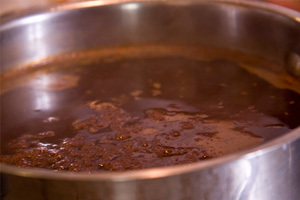 Add dark veal stock to a pot. Slowly bring the temperature up to a boil. It’s important to do it slowly, otherwise the glace will be cloudy. 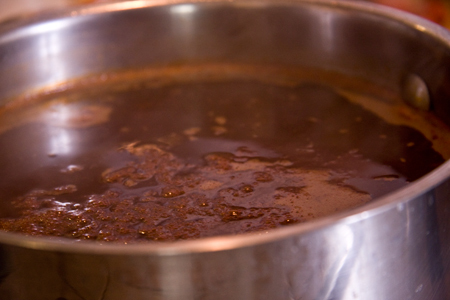 Keep the stock at a simmer and slowly reduce the volume by one half to three fourths. Voila…you’ve got veal demi!